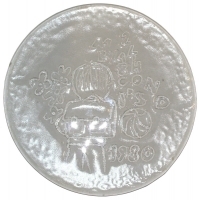 184 ø disc about 8mm thick 500g. 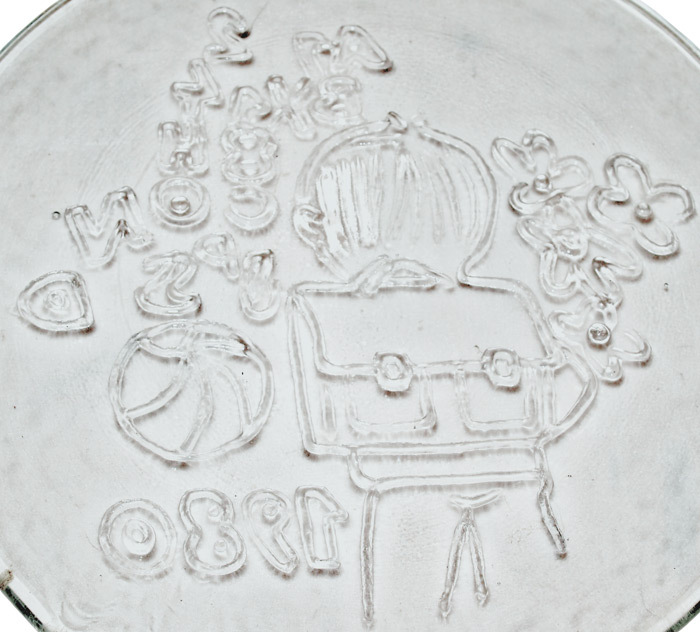 Ringless pressed. 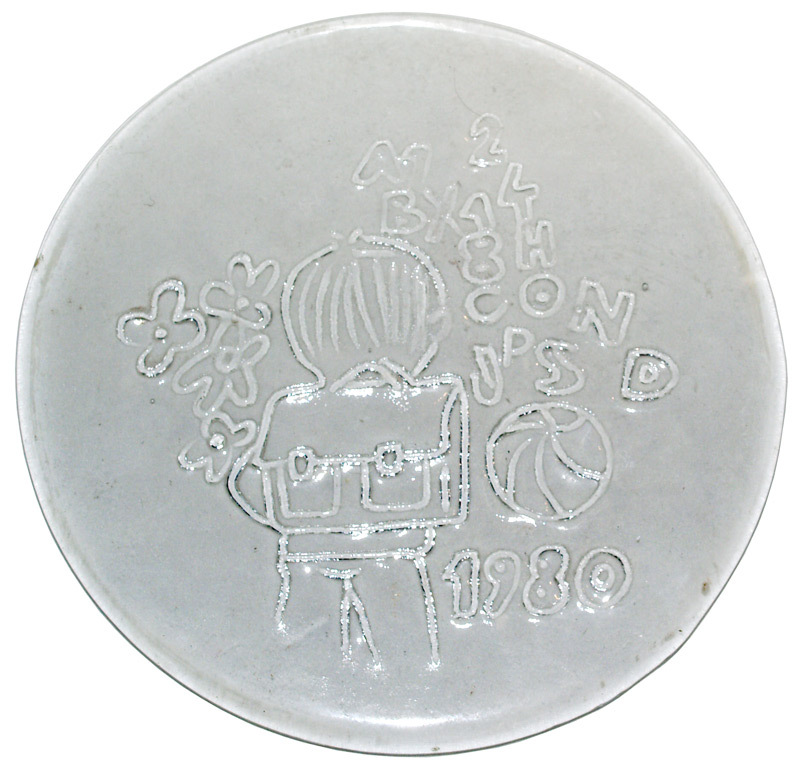 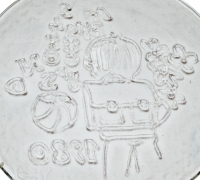 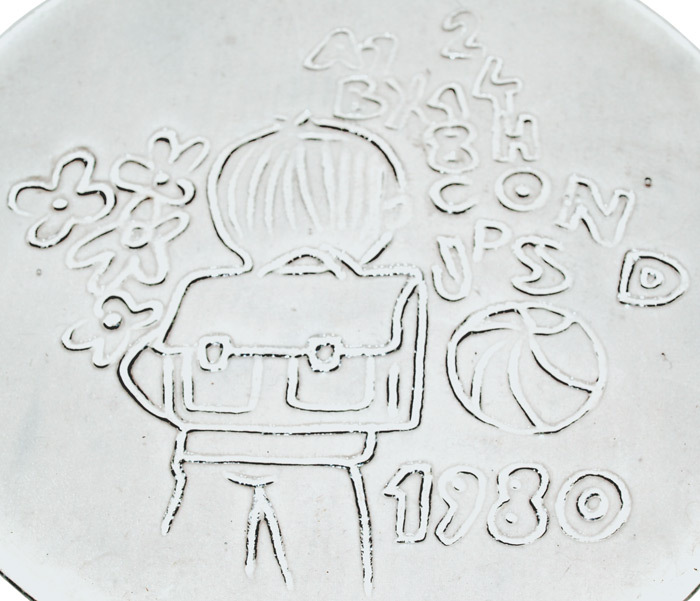 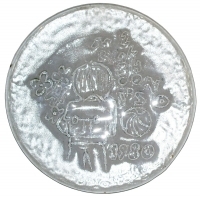 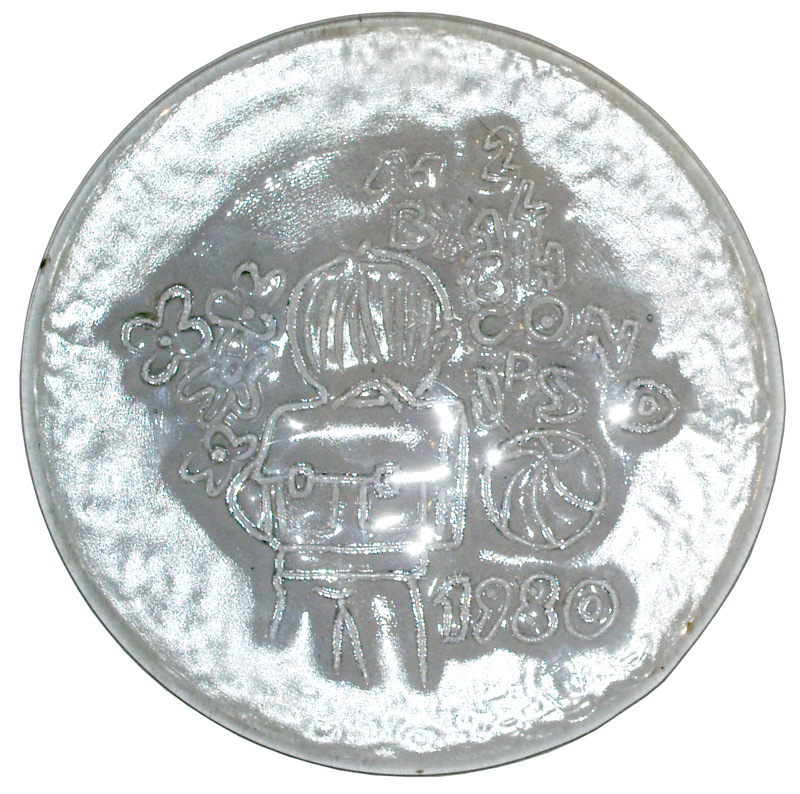 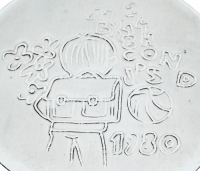 Design on underside showing a school child, flowers, numbers and letters "A1 2 - BX14 - 8H - CON UPSA", a ball and the date 1980.